Ro-oar, ro-oar, ro-oar, ro-OAR, RO-OAR!!!!! We waited for this moment from the begining, but we couldn't dream or dare to hope for you girls . But we kept our hopes alive, and one by one , champion after champion become a tigress, each one of CSM player is a true fighter and amazing character , and i can`t be more happy for you girls to sign with CSM and joining our team, helping and contributing to our efforts to achieve what a top sportsman always want ,to be the best in what he does. And how can u achieve that if not with a team where you can play with the best, where performance is like breathing and no challenge is impossible. Rest assure , u are not alone , u got our genius Bella who can invent the impossible , you got Cristina who never gives up and always thrive for the best, you got the rest of our girls, Majda , and the other tigresses and you got us. We, the fans, the supporters who are literally living a dream right now and that`s because of all of you girls and this amazing team that begins to have a shape so beautiful worthy of you all. 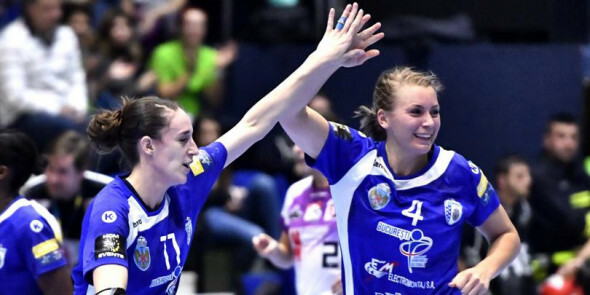 But back to you , this is your moment , u must know that, all the CSM fans they simply adore you , you Marit and you Amanda , they know each one of you for what a true champions u are, in my humble attempt , i welcome you in behalf of the entire fans comunity to CSM Bucuresti . 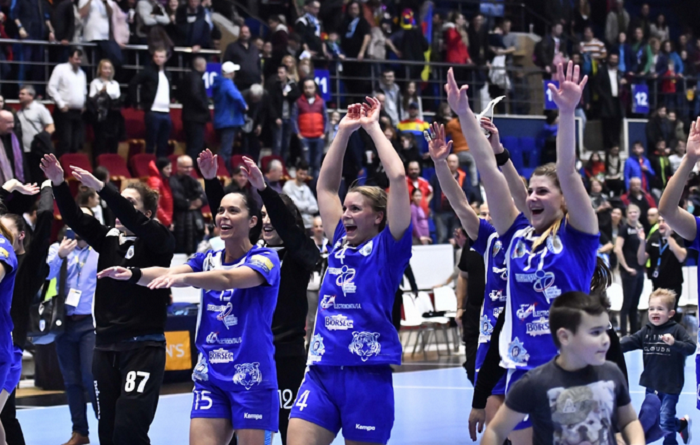 I hope you will acomplish your few dreams left in your amazing sportive career , and i can`t wait to see you girls in action with our champions who breath the same air for performance as CSM Bucharest supporters breath and thrive for . We will help you, cheering for you, with you, even in loss, we will share success and failures as only a true suporter knows how. We will cheer u up when u feel down, motivate you when victory seems far, give u strenght when even you feel u have none left .We will , we have you girls , we believe. Feed from our energy, and become what we already know u are , the best players in the world. U will hear our ROAR !!!! and when you need us the most , we will be there. We are so happy that u decided to play for our town and represent this club from Romania , we are honored and rest assure, u are highly respected and adored as a player and even more as a beautiful human beings and champions that u are. We never give up our dreams, that is how we can achieve them. U are a living proof for that. You are a dream for us that came true. Thank you. HAI CSM ! LUPTA CSM ! valkyrie21 wrote: Anyone knows how signing Kurtovic will affect Line Jørgensen at CSM? I quoted you here because it's more about this team and not about transfers so other users could be annoyed. It's just my opinion, but I guess they will end her contract 'cause I can't imagine Kurtovic and Jorgensen playin' in the same time (considering also that Ayglon will be the "head of defense" next season and she will play most of the time in defense). There are simply to many changes to do. But again, it's just my opinion and I really feel bad for Line. I hope I am wrong and that she will stay to honor her contract. "I am proud that one of the best clubs in Europe wanted me. 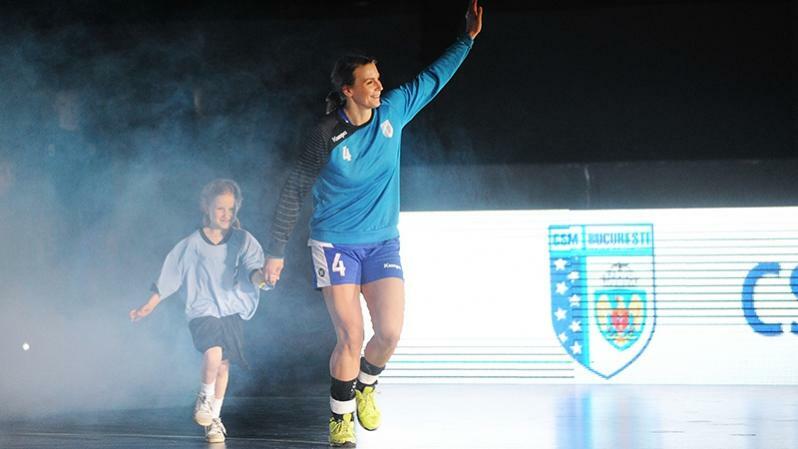 I'm excited to be on the bench of CSM Bucureşti, starting next season, and start a new chapter in Romania, to become part of Bucharest and the Romanian handball." Where does this leave Per Johansen? Is he coaching only until summer? Then what? mikh wrote: Where does this leave Per Johansen? well , we never know , do we ? Yes,he was brought until summer, actually for the CL games only, cause the NL is already in our pocket so he must concentrate only on our opponent/s in CL. After this, the club can negotiate the extension for next season,but this will be talked with Helle I guess,if she accepts..depends on other things too. Stefan_MNE wrote: April Fools' Day prank? I am quite curious about this collaboration. So Klit, Rasmussen. Vestergaard, Rosca, Johanssen, Thomsen. Only in 2 years. swarthofole wrote: So welcome, Helle! bajkalb wrote: So Klit, Rasmussen. Vestergaard, Rosca, Johanssen, Thomsen. Only in 2 years. You should look after your strategy, we already won a final. Otherwise you should be happy that Kim is training your NT. Do you think that there's any chance for Helle bringing some well-proven Dutchies to the team?! If not from this season but probably from the next one? Is there room/need for them? Not really, Portugal or Germany in football (I can't look for the handball statistics), changed a lot the club coaches this season. If I am not wrong, also Italy for many seasons. 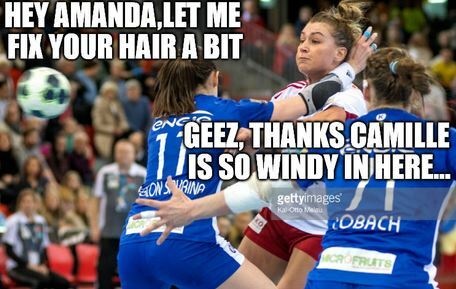 But if we talk about the Romanian handball, the coaches are usually not very changed. Logically, just Tess Wester but I didn't hear to be scouted... Some are involved with Gyor, Polman is pregnant, unfortunately Dulfer was lost for the defence because she was just tranferred, Snelder may not be good enough! Flying Dutchman wrote: rather call it a brainstorming? Flying Dutchman, what is a brainstorming? Maybe you can tell us. I see it's also used by Gazeta Sporturilor tonight (also earlier today). Why is it so popular word? I am just wondering... Did you read our press or? I think that for sure can be Tess Wester from next season. After that I don't know....maybe Abbingh or Malestein...but these are just personal choices. CSM BUCURESTI , 2016-2017 SEASON ! Prepared for the battle !!! I want to see Bella's trademark smile after every goal she scores! I want to see the girls in their happy group hug after the match!